The excellence of آل محمد (a.s.) is higher than most Muslims realize or care to admit. Scores of Muslim scholars have confessed to this reality. One such scholar was Abu Abdillah Muhammad b. Umar b. Husain al-Taimi al-Bakri, more popular as Fakhruddeen al-Raazi (exp. 606 AH). He is considered highly by the Ahle Tasunnan. For which, his views and opinions are cited frequently by them to counter the Shias – particularly on the subject of Imamat. Therefore his views on آل محمد (a.s.) are particularly relevant. Such an honour is not found for anyone except Aale Muhammad (s.a.w.a.). This indicates that showing kindness towards the progeny of Muhammad (s.a.w.a.) is obligatory. The definition of آل محمد (a.s.) as outlined by Fakhre Raazi coincides with that of the Ahle Bait (a.s.) as defined by Quran and correct Sunnah. In other words both these entities i.e. آل محمد (a.s.) and the Ahle Bait (a.s.) are one and the same. Fakhre Raazi’s view on آل محمد (a.s.) automatically rejects the view of those who bring their own interpretation of the Ahle Bait (a.s.) to include the wives of the Prophet (s.a.w.a.). There is no Quranic verse or correct tradition that they are pure from filth and impurity and that Muslims should send blessings on them and that sadaqah is prohibited for them and that being kind to them is an obligation on all Muslims. The only obligation for the Muslims – even then only on their men – is that the wives of the Prophet (s.a.w.a.) are not permissible for them and hence they cannot marry them after the Prophet (s.a.w.a.). Apart from this there is no other obligation. If the wives of the Prophet (s.a.w.a.) deviate from religion, the Muslims can even go to war against them to restore the truth, as evidenced in the Battle of Jamal. 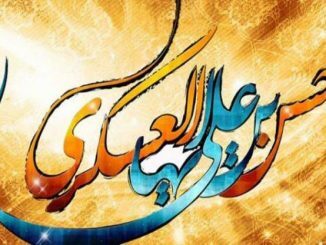 آل محمد (a.s.) deserve as a right – the kindness and benevolence of all Muslims – be it the companions, caliphs, wives of Prophet (s.a.w.a. ), etc. It is unfortunate that not only was this basic right never given to them, the Muslims dealt with آل محمد (a.s.) most harshly, killing every single one of them either by sword or by poison. And after this they still hope for Allah’s Mercy and a residence in Paradise.